A grand adventure can't be confined to single location. You need fresh air! You need to get from A to B! Let your campaign take place over a grand landscape. This tileset contains 16x16 pixel tiles for creating overworld style maps. 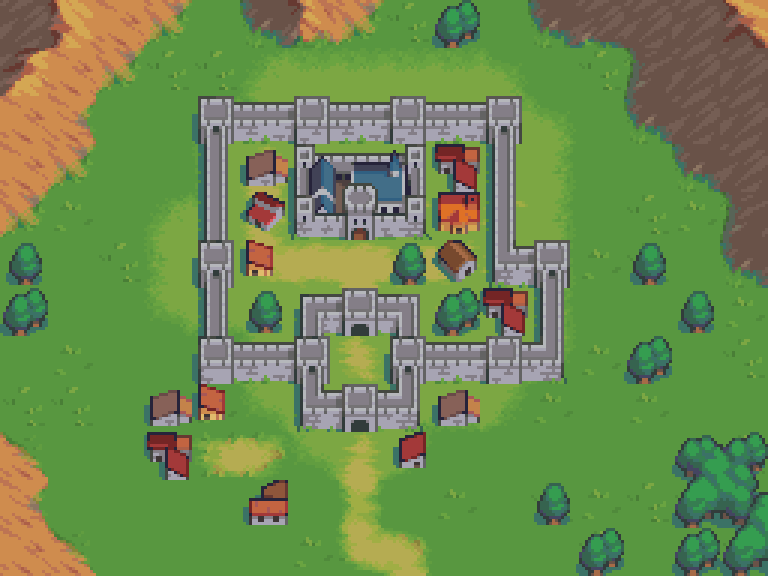 With this series of assets I hope to recreate the magical feeling I had while playing the classic SRPGs of old. For updates, follow on twitter. How long will you be on your current project before being able to accept more commisions? When you are free I would like you to consider doing a commision for me ill pay for you to continue this project and greatly expand it and will pay well. This has been what I have been looking for for quite some time. it reminds me of the early Ultima games but updated. Do you plan to add Snow/desert (or any other more) themed tiles in a future? Though, any tips on the animation and unity (2018)? I can't seem to find any information in the zip file about it, basically my animations are playing way too slow. Is it compatible with RPG MAKER MV out of the box? It is easy to adapt, actually! The problem is with me. I don't know how to configure tilesets, unfortunately. You have done a nice job with this one, BTW! It would fit perfectly to the game we are doing, though. So excited that this is out! Beautiful work.